Two weekends ago, I headed to the Malaysian side of Borneo to enjoy what will probably be my last vacation here. Yep, my grant is finishing up soon and I’m both excited and somewhat paralyzed by that (hooray for mac n’ cheese and coffee and a relatively bug free existence, boo to trying to find gainful employment). 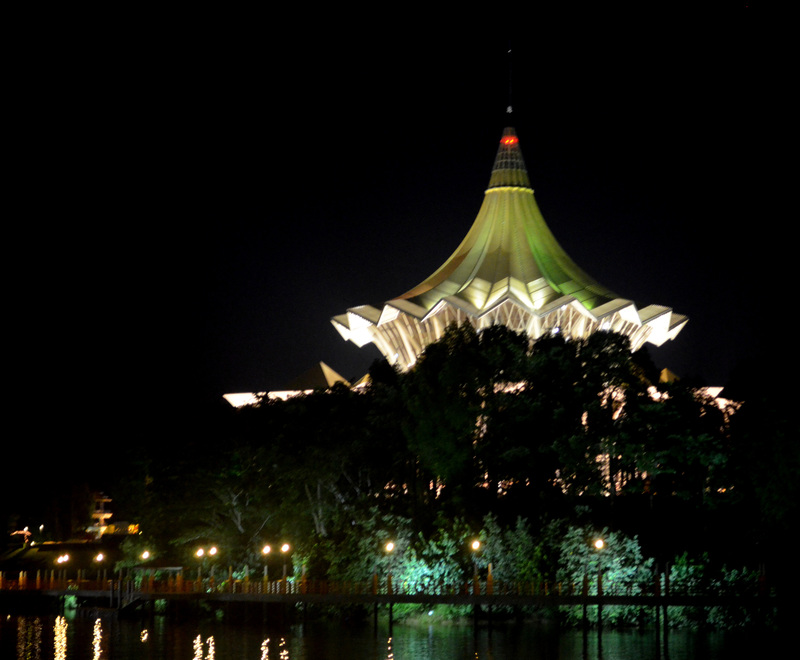 My time in Kuching was relatively low key, but I got to do a few cool things when I was there. 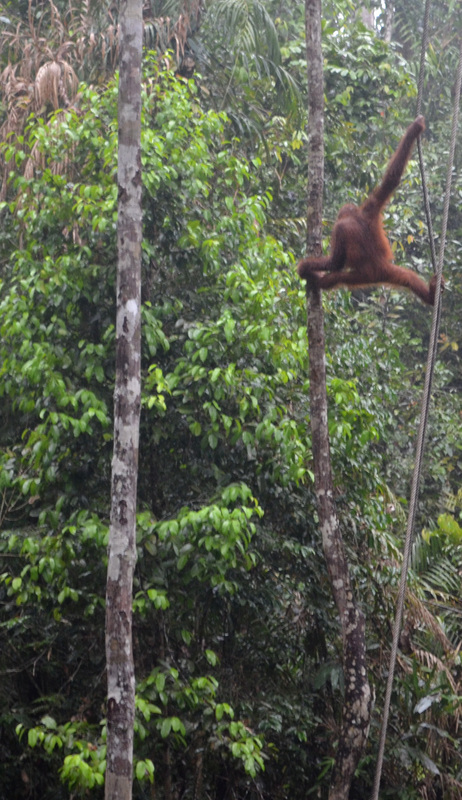 First, I saw some orangutans. Fun fact: Orangutan is one of the few English words that comes from Bahasa Malaysia. Orang Utan means people of the forest. This is one of the few things I learned in my Bahasa Malaysia classes during orientation. The highlight of my trip was going to the Cat Museum. I highly recommend all of you travel to Borneo just to see it. We headed there on Saturday but unfortunately, it was closed for a public holiday. Undeterred, we woke up early the next morning so that we could go to the museum before our flights. I’m really glad we did because the Cat Museum was too good to miss. Some of the exhibits featured bags of cat food, inspirational posters from the 90s and Hallmark cards (only the ones with cats on them, of course). 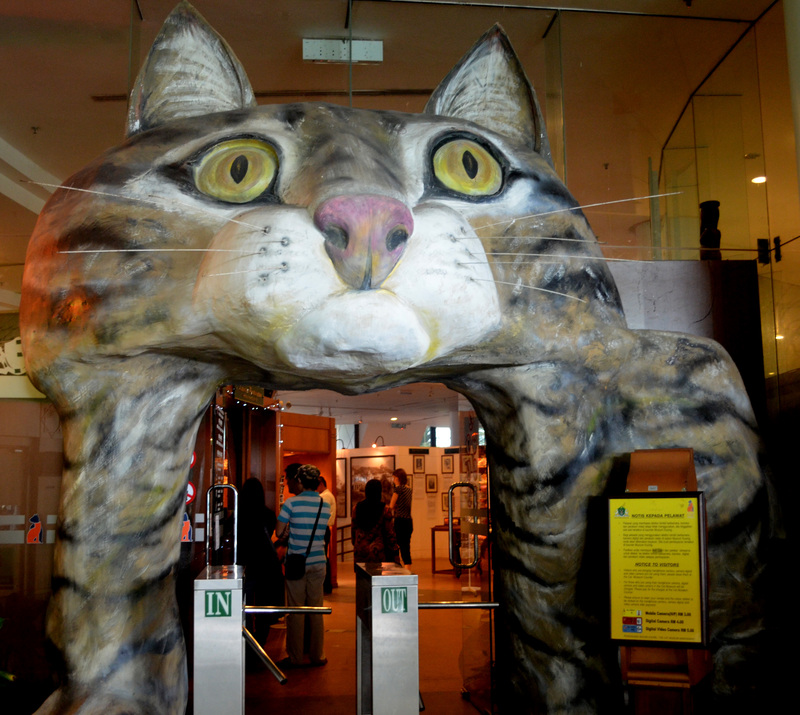 There were also mummified cats, pictures of cat tattoos and my favorite, multiple placards that used the line, “Only a tyrant could not like cats.” Malaysian museums might be my favorite things ever. 6 more weeks until I come home! This entry was posted in Malaysia, Traveling. Bookmark the permalink. I’m sad I never saw the cat museum. =[ Maybe you can catch it if you go to the Rainforest Music Festival again?